Faded New York T-Shirt by Open. Dream big like the city that never sleeps in this faded New York t-shirt. Designed with a blue New York graphic on a crew neck tee with short sleeves. Made from a super soft and lightweight cotton material. Faded New York t-shirt is semi-sheer with marbling that adds to its worn out look. This is the perfect tee to add a little vintage NYC to your style. Casual graphic tees are the perfect complement with your favorite pair of jeans. Give your outfit some Big Apple attitude in this faded New York shirt. 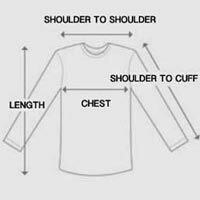 Model is wearing size M. For accurate measurements, check the table below.